Are you part of the 44 percent of the population with no or low credit? Are you at a loss as to how you can get a loan? Contrary to popular belief, it is possible to borrow money even if you've never used credit before. Read on to learn more about how to get a loan with no credit. First things first, let's clarify what a credit score actually is. Your credit score is a number that is determined based on the number of accounts you have open and your history of making payments. Your credit score ranges from 300 to 850; the higher it is, the better. The method that credit bureaus use to evaluate your credit is known as the Fair Isaac Corporation, or FICO, method. A higher credit score will help you borrow larger amounts of money, get lower interest rates, and increase your chances of getting approved for a loan. Some lenders will give you what is known as a credit builder loan. With this type of loan, a lender will let you borrow a small amount of money, but they won't give you that money up front. Instead, it is deposited into a savings account. Every month, you will make a payment on this loan. The lender will report your on-time payments to credit bureaus, which allows you to build a credit score. Credit unions are typically more willing than banks to work with people who don't have any credit. The National Credit Union Administration has also created a program known as the Payday Alternative Loan program. Under this program, federal credit unions will allow you to borrow anywhere from $200 to $1,000 for a period of one to six months. Many private and state credit unions also offer similar programs. If you have a family member or friend who has good credit and trusts your ability to repay a loan, you may want to consider asking them to be a co-signer on your loan. When you have a qualified co-signer on your side, a lender will base your loan terms on their credit score. While you get the benefits of using their credit score, your co-signer is equally responsible for repayment of the loan. This means that if you default on or are late with your payments, their credit score will be affected. Another option is peer-to-peer lending. There are several online platforms that allow you to borrow directly from an individual instead of from an institution. To use these platforms, you'll post a loan listing indicating the amount you want to borrow and what you need the money for. An investor will then review the listing and contact you if they want to fund you. Having a good credit score increases your chances of getting a loan this way. But, individual investors have more leeway when it comes to deciding whom they'll loan money to. So, you might be able to make a case for yourself and have more success than you would with a regular lending institution. If you're in a bind and need money right away, you might also want to consider a payday loan. You'll more than likely get approved right away for a payday loan, even if you don't have any credit. 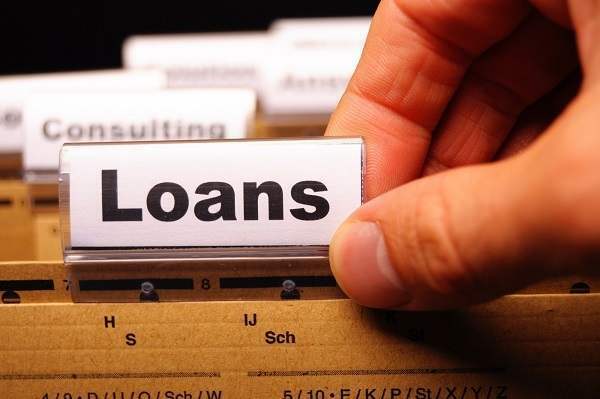 But, there are a lot of risks attached to these kinds of loans, so you need to proceed with caution. Payday loans typically come with very high interest fees, so they're an expensive way to borrow money, even though the loan amounts are usually quite small. Payday lenders also, in most cases, don't report your payments to credit bureaus, so they don't help build your credit. If you do end up going with a payday loan, be sure to pay it back on time to avoid losing a ton of extra money to interest. A secured credit card is backed by a cash deposit that you make upfront. That deposit will serve as your line of credit. If you make payments on time consistently, you'll eventually build up a credit score and qualify for an unsecured card. If a family member or significant other is willing, you can become an authorized user on one of their cards. This allows you to build credit without getting a credit card yourself. Be sure to come to an agreement with the person who is making you an authorized user on their card. Figure out how you're going to pay for the charges you make and follow through. You can also utilize rent-reporting services to build credit by paying your other bills on time. Rent-reporting services take bills like your rent or utility bills and put them on your credit report. This helps you build a positive credit history without getting a loan or credit card first. Be sure to also check your credit report regularly to find out if there are any errors or discrepancies that could negatively affect your score. Now that you know how to get a loan with no credit, do you want to learn more about managing your finances and improving your credit score? If so, check out our other blog posts today!